Tour Kato Paphos area in an incomparable, revolutionary and exciting way. Enjoy a seamless glide of this beautiful town of Cyprus while riding on the newest technology of Segway PT, the world’s first two wheel self-balancing electric personal transporters. Rated as the N0 1 of Activities in Paphos and Things to do in Paphos as per the Tripadvisor, Paphos Segway Tour is only the second Segway tour company in the world to maintain a colourful fleet of both i2 and x2 Segways. Being colourful is part of our DNA as such feel free to mix and match with your attire, or choose a colour to stick out from the crowd. Just pick your favourite colour or the colour that suits your mood. For us being colourful is about having fun and enjoying every moment of life, and that is the reason why our slogan is “ Certified Fun “!. With amazing historical attractions, traditional architecture, scenic alleys and other wonderful sights along the shoreline of Paphos, our tour guides will ensure you receive the most stunning photo opportunities and enjoy stops at the most beautiful and famous places you visit in Cyprus. Hear great stories about Paphos while capturing a glimpse of places of great charm in a tour that could otherwise take you much more time to explore. 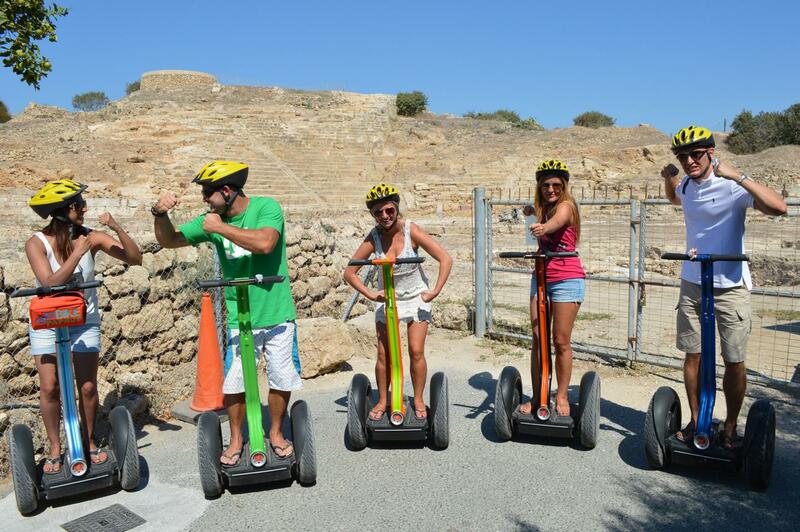 Paphos Segway Tour is among the activities in Paphos that are suitable for everybody 12 years or above. Whether you are an individual traveller, a young couple, a family with teenagers that cannot wait to do something fun and action packed, a mature couple interested in exploring the best hidden gems of Paphos, or just someone that looking to have a great time in Paphos – Cyprus while experiencing Segways, Paphos Segway Tour certainly is the No1 of activities in Paphos that will suit your needs. Paphos Segway Tour is not just about experiencing Segways, it is all about having a great time, having fun, enjoying spectacular views, and sightseeing Paphos hidden gems in the most unique, enjoyable , certified fun and colourful way. 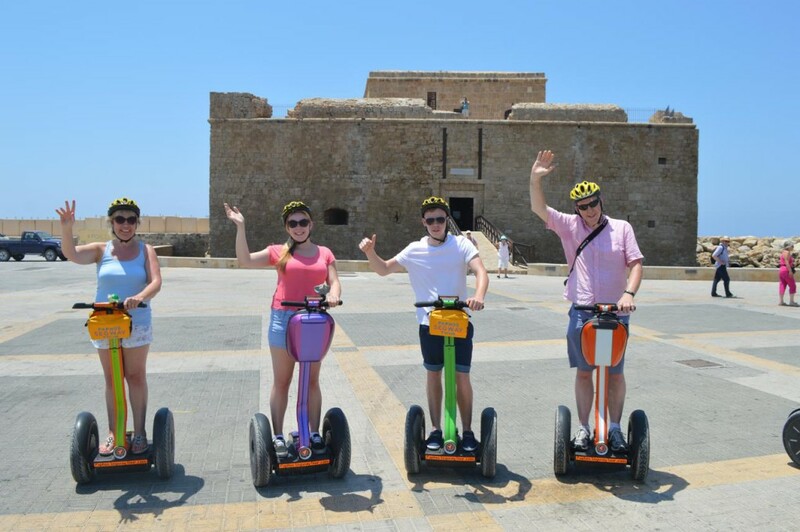 Paphos Segway Tour is one of the best entertaining and informative activities in Paphos. 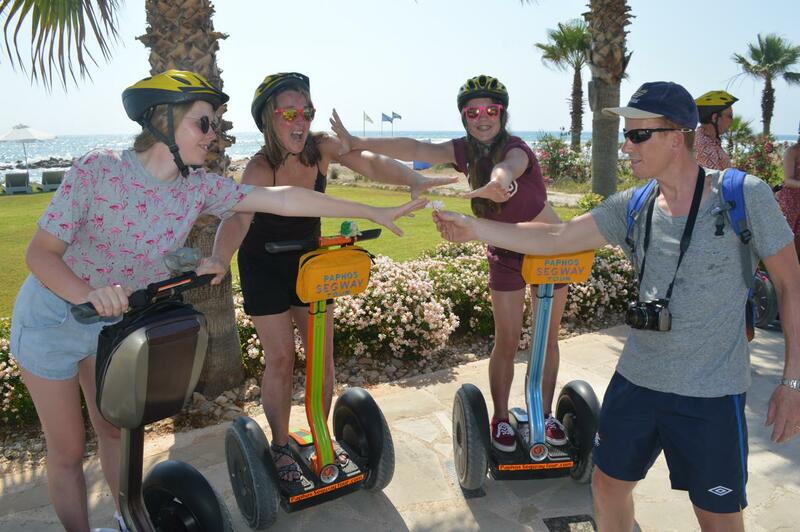 Paphos Segway Tour is ideal for all ages above 12 years of age, beginners and experienced riders, residents of Cyprus, as well as those new to the city. As Paphos’s first and original guided colourful Segway Tour Company, your adventure begins by choosing the Segway colour of your choice followed up with instructional safety training. This is the most fun and informative from all things to do and activities in Paphos and our promise to you that: Paphos Segway Tour will leave you with a fascinating picture book of Paphos that will last a lifetime!!! Our very own amateur Michael Buble. 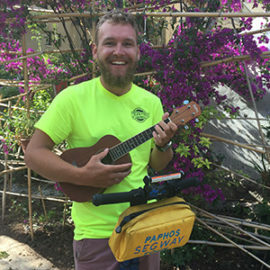 He can sing, dance, imitate … just ask for it, always though while riding the Segway!!! Vocal, charismatic and funny, Mark is always ready to mix it up a bit singing anything from Robbie Williams to Elvis. Being a travel junkie and photography enthusiast, rest assured that he can tell you about the best places to visit and the most stunning photo opportunities in Paphos. Our self proclaimed Ukulele God (guitar like musical instrument). Passionate about music, cartoons, and superheroes, Callum besides being the king of all Geeks adds a brilliant new twist to what a tour should be like. 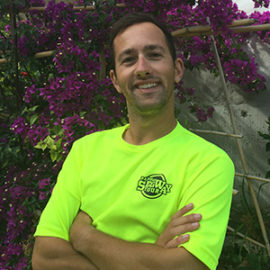 Charming and funny with an unparalleled hunger for life, he will ensure that you will have an unforgettable time on tour with him while enjoying Paphos at its best. 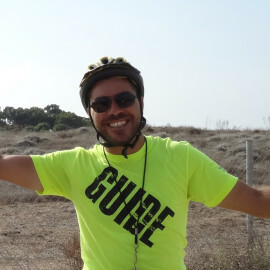 Our smooth and funny guide is a specialist in history and in the surrounding areas of Paphos. Being a nature lover, he is always ready to suggest a nice day out of the beaten path, as well as nice excursion to the nearby villages and wineries. 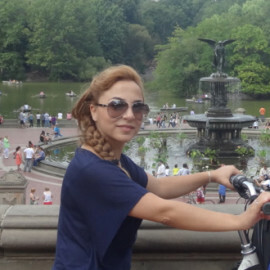 Our charming lady with the fantastic personality and sense of humor is our specialist in terms of history. 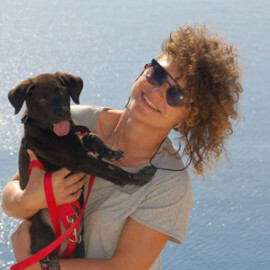 Born and raised in Paphos, she will explain you the cultural agenda and historic places of her beloved city. Enjoy her insights on Paphos history and be sure to ask her for the next art openings, theater or concerts in town. Our local interests specialist. 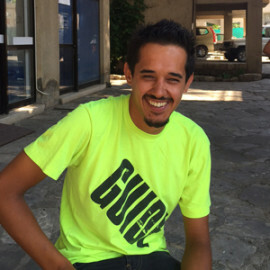 He is always up to date about what is going on in Paphos and in Cyprus in general. Ask him about sports and …. Food. Being a foodie he is definitely going to share the best nearby tavernas as well as the best night life spots in town. From Russia with Love. Charismatic, charming, funny and cheerful she will guide you through Paphos ensuring that you can feel the history & culture of the city. Interested about sports, martial arts, music and art, she can recommend you anything from nights out to the best sporting events and concerts in town. Our in-house illusionist and magician. If you are lucky he will entertain you with some mind blowing tricks and perhaps he will teach you a trick or two. Interested in anything that uses the latest technology, as well as water sports and water activities. 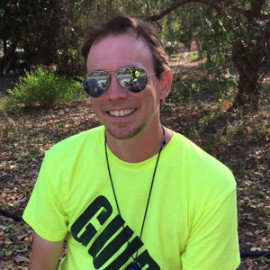 Ask him about the best beaches and snorkeling spots in the area. Our half Russian half Tunisian gentleman travelled half way round the world for studies and to enjoy the diverse cultures of the world. 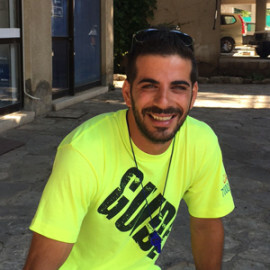 Easy going and friendly and with a fantastic sense of humor he will be explaining the history, culture and way of life of Paphos in his own unique way. Our charismatic and always smiling Belgian lady. 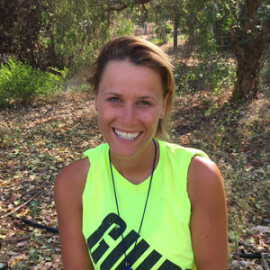 Sweet as a Belgian chocolate, she will share her insights on Paphos and discover what it means to be passionate about life. Interested about art , music, martial arts and sports.